This illustration shows the relative positions of Earth and Mars at the last four oppositions, when the Sun and Mars are on exact opposite sides of Earth. Orbits of the inner planets are to scale. 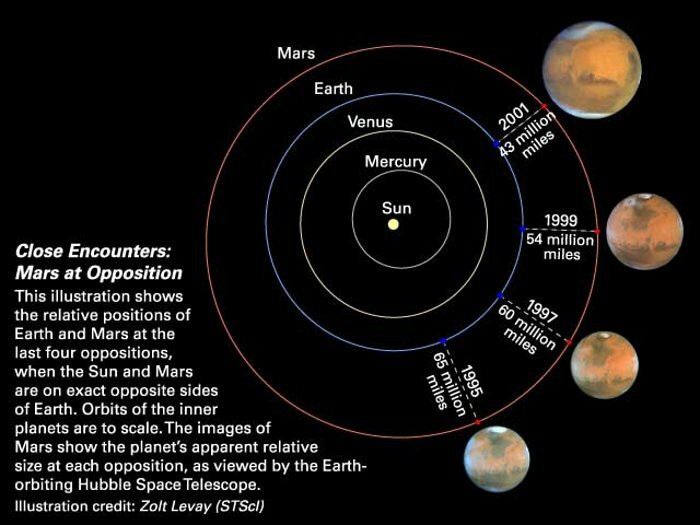 The images of Mars show the planet's apparant relative size at each opposition, as viewed by the Earth-orbiting Hubble Space Telescope.